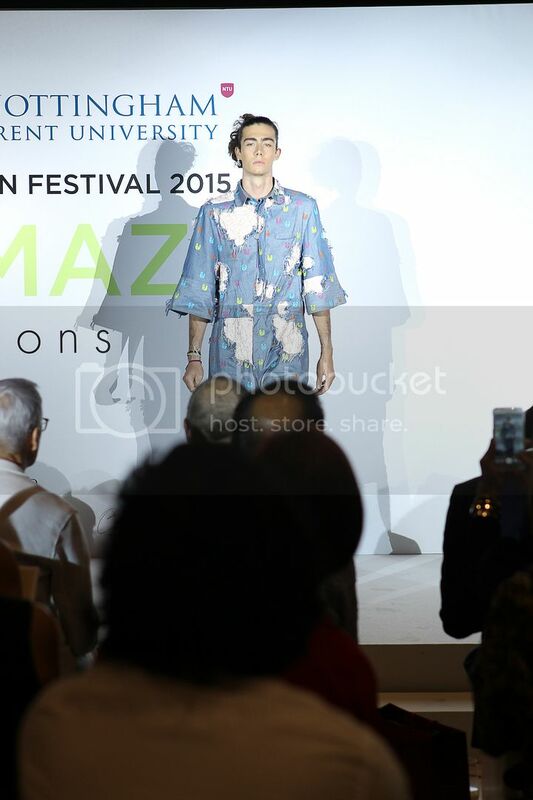 The graduates from Management Development Institute of Singapore (MDIS) School of Fashion and Design celebrated their graduation on 9th September 2015 with an amazing Graduate Fashion Festival — The Maze. Watch the video for the entire event coverage. Guests were guided through The Maze, which was the highlight of the event. It was an unique excursion that helped the guests understand the students’ works and what the students went through in their emotional journey to complete their designs. The Maze is the perfect metaphor for the students’ developmental process and marketing projects. The fashion show opened with a live performance by Daniela Beltrani. 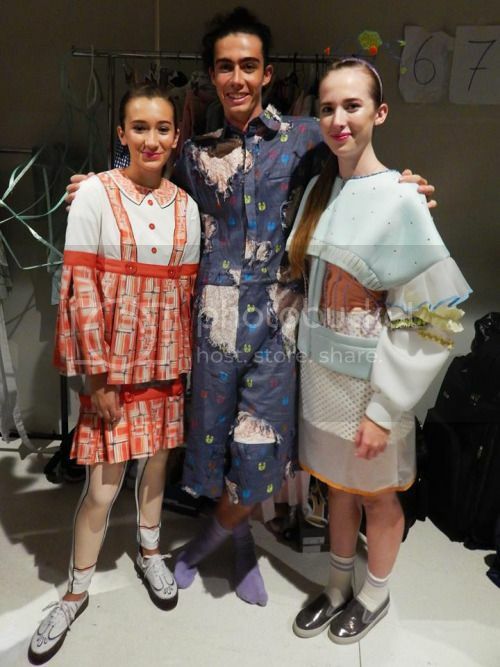 It showcased the ambiguity between “ruptures” and “raptures” by manipulating the calico fabric to create the students’ toiles to draw the catwalk pathway. There was no music and we were entirely focused on her display of emotions and was it was mesmerising and thought provoking. We were expecting the typical runway but no. The fashion show flowed remarkably with the theme of The Maze and models showcased the apparels by doing their catwalks amongst the guests seated. Marrying her Korean cultural heritage with contemporary fashion, Yuna created this collection of soft yet structured silhouette, and dedicated this collection to the empowered women of our times, who still value their feminine side. Inspired by Korean architecture and origami, and finished with handmade and hand-dyed linen fabrics from Korean mountain artisans, the collection was definitely intrinsically sustainable yet sophisticated. Children’s innocent appearances could be a mask that hid their inner pains. Children who went through traumatic experiences and hurt by the “invisible bullet” that were shot at them, were forced to grow up too fast. Inspired by the contradictions of a child’s innocent face and their inner psychological state, Noella Foo employed silkscreen prints, embroidery and fabric manipulations to represent bullet wounds. It showcased a playful collection of bright colours that represented the joy that children still experience, even though they could not completely forget or bury their pain. The perfections in imperfections, Drishti Makhija drew inspiration from the imperfect human body. 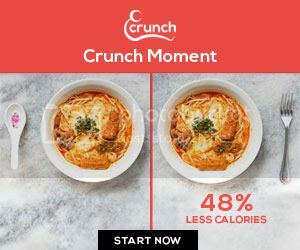 Textile manipulations were used to recreate the flaws that most of us sought to conceal — the scars, wrinkles and even lumps of fats. With the society focused on the body image of women, Drishti Makhija believed that women should love their own body. It was no surprise that the main colour of Fenella Fauzou’s collection was white, although accents of pink and black fabrics were used to bring out the aesthetic contrast. Inspired by white candles that represented hope, the structure and pattern of the apparels resembled the changing shapes of melting candles. The impeccable pieces sought to empower women and help women feel elegant in their daily lives. Our favourite would have to be Noella Foo’s “Invisible Bullet” collection. The bright colours contrasted with the morbid motifs, and the childlike designs added a whimsical and playful touch. 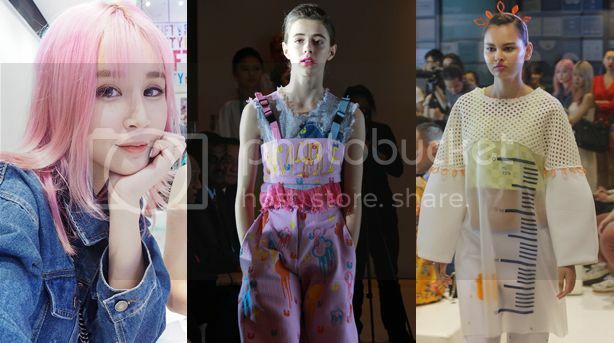 MDIS provided a great opportunity for their students by collaborating with Inverted Edge, a Singapore-based multi-labeled boutique and online store, which will help to co-design and co-brand one of the student’s first collection upon graduation. “Soft Outside, Strong Inside” by Yuna Nayeon Yun was selected by Mr Jasper Goh, Managing Director of Inverted Edge. 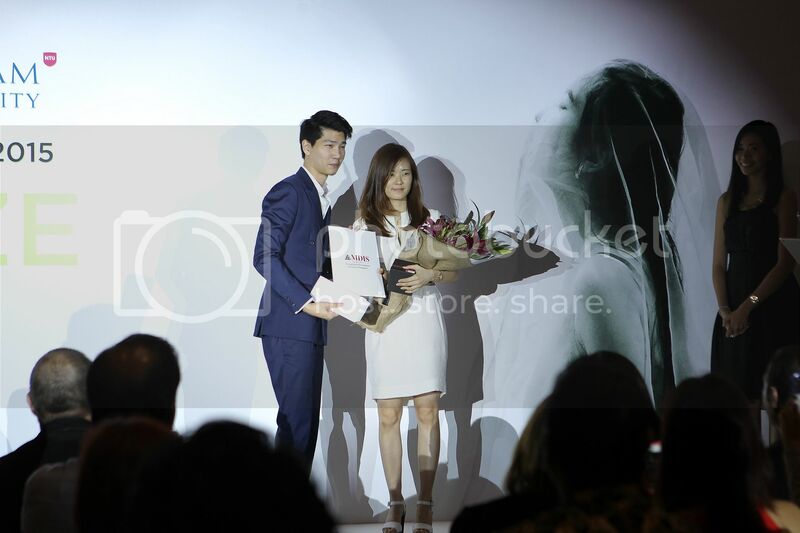 He said that it was an important part of his business to support young and emerging talents. 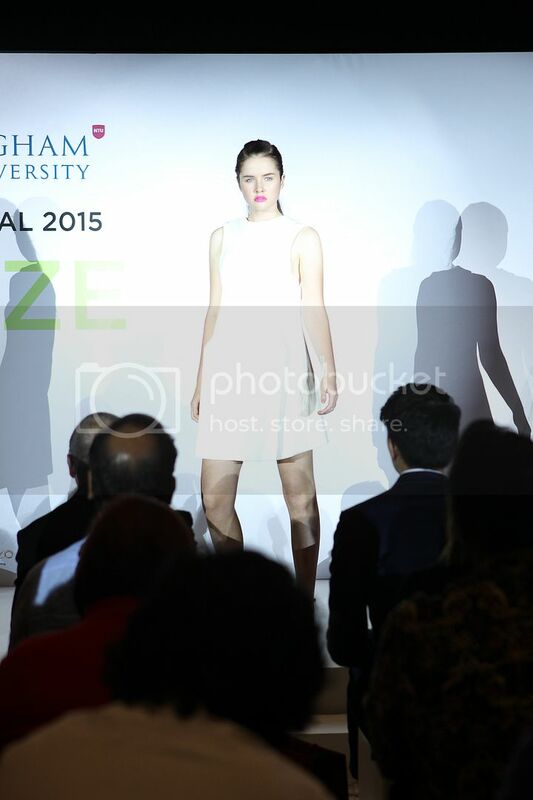 The School of Fashion and Design is the most exciting addition to the disciplines MDIS offers. The mission of the school is to nurture a new generation of creative professional in the specialisation of Fashion Design and Fashion Marketing and Branding by delivering a globally recognised creative education through teaching excellence. Students will enjoy the learning experience through the staffing of highly qualified academics and experienced professionals in addition to the state-of-the-art facilities housed within the Fashion Studio. To meet with the global fashion industries demand, MDIS is offering undergraduate programmes together with our world-renowned university partner, Nottingham Trent University. Nottingham Trent University is accredited by the Privy Council and recognised as one of the top ten Post-92 universities for student experience in England and Wales and one of the top three for its excellent graduate employment rate, with 93% of graduates from undergraduate fashion courses in employment or further study within six months (Destinations of Leavers from Higher Education survey 2013 - 2014). 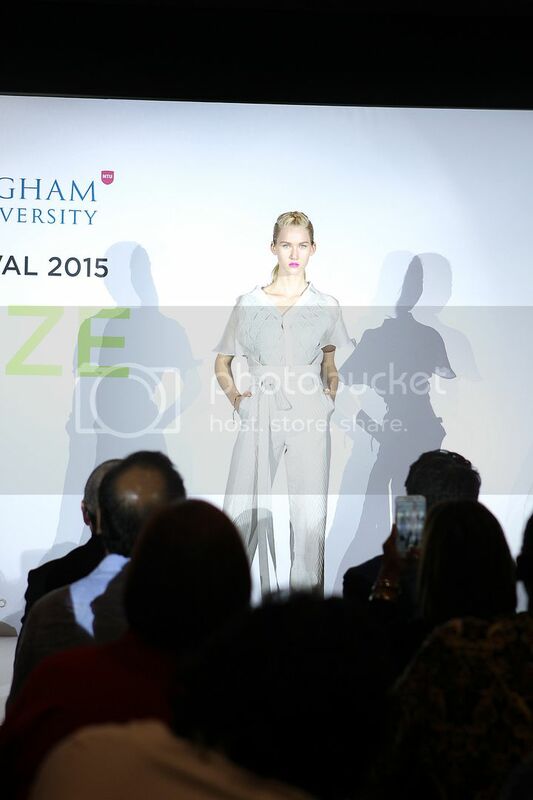 The University is ranked 10th in The Guardian University Guide 2015: League Table for Fashion and Textiles, and 14th in The Business of Fashion Global Fashion School Ranking for Undergraduate course in 2015. Upon successfully completing the programmes, the graduates will be well prepared for a rewarding career ahead in all facets of the fashion industry ranging from designing, manufacturing, retailing, marketing, branding and fashion management. MDIS warmly invites you to discover the exciting opportunities that the fashion design and fashion marketing curriculum has to offer.